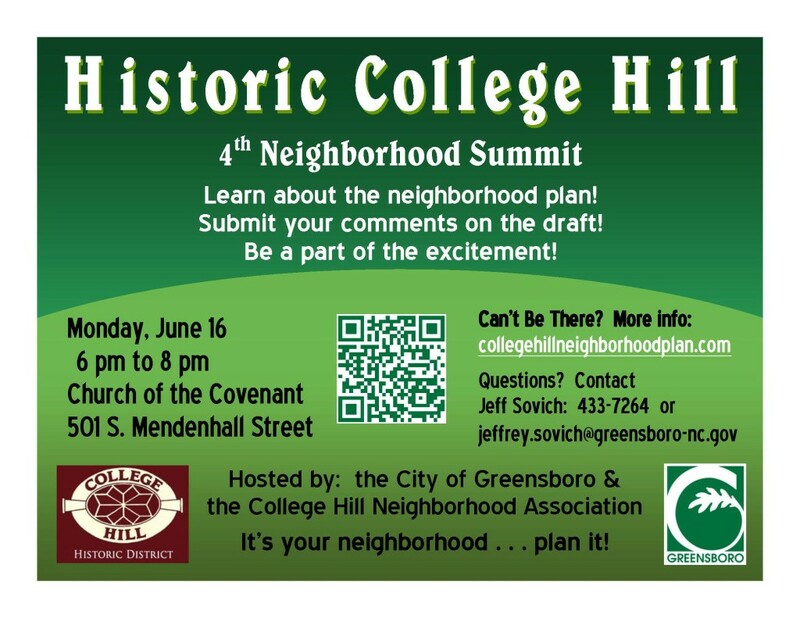 The focus of the summit will be presenting the draft College Hill Neighborhood Plan for YOUR review and comment! The plan will be online starting on Monday, June 9. Please join us and be a part of this important neighborhood milestone! All are welcome to attend — Bring a friend or neighbor!